VITASTIQ, NEW AND IMPROVED! 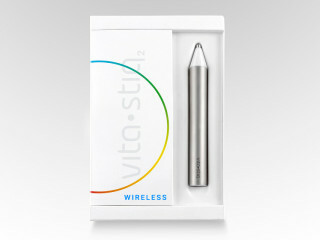 Thanks to wireless connection via Bluetooth, Vitastiq 2 has a better compatibility with smartphones and tablets. This device for vitamin and mineral status check is convenient, more efficient and has better precision. Selfies as you know them, have changed. Welcome to the world of ROAM-e.